CASINO INDUSTRY A VITAL ECONOMIC DRIVER. 7 December 2016 For the 11th year, the Casino Association of South Africa (“CASA”) has released the annual survey of the South African casino industry, providing fascinating insights and information to role players, stakeholders and members of the general public. The recently released 2016 edition of the survey showed that, despite tough economic conditions, the licensed casino industry remains an important driver to the South African economy, making a significant contribution towards employment, social responsibility and infrastructure development. CASA represents all but two of South Africa’s 38 licensed casinos, which collectively generated R18.2 billion in gross gambling revenues (“GGR”) in the year 2015/16, up 6.7% over the previous year. According to the survey, the taxman was the largest winner during that period, collecting 36%, or R5.9 billion, through various taxes and levies across local, provincial and national governments. This, in turn, leads to improved infrastructure, education and healthcare funding. Another big beneficiary of the industry’s continued growth was the 64 000 employees supported by CASA member casinos and their related activities, such as hotels, conference centres, restaurants and theatres. Casino employees received 20% of the value generated by CASA member casinos during the year 2015/16, amounting to R3.4 billion. In addition, CASA members invested R2.4 billion, or 13.2% of their GGR, in capital expenditure at casino complexes, further stimulating the economies of the provinces in which they operate. As South Africa’s economic powerhouse, it’s little surprise that Gauteng again topped the tables in terms of GGR, accounting for 41% of the national GGR. The province also contributed the most in terms of gambling taxes/levies and VAT on GGR, at R1.5 billion. KwaZulu-Natal’s Gross Gambling Revenue follows at 19%, with the Western Cape (15%) as well as North West Province (7%) and Eastern Cape (7%) rounding out the top five. In terms of GGR growth, however, Limpopo grew the most (29%) in 2015/16 compared to 2014/15, while Mpumalanga was the only province that experienced negative growth, contracting by 2%. Once again, CASA members increased their Corporate Social Investment spend, contributing more than R165 million (up by 9.4% from last year) to education, skills development, sports development, community upliftment and healthcare. 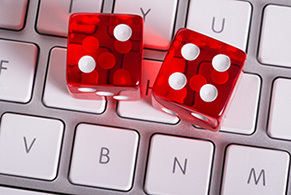 Although revenue did increase, despite a negative economic outlook, this year’s survey also focused a spotlight on the increasing threat the industry faces due to illegal gambling, especially the growth of illegal online gambling. Not only does illegal gambling leave participants exposed to risks ranging from penalties to imprisonment, it also robs the economy of much needed tax revenue. While government has pledged to impose harsher penalties on transgressors, the general public is largely unaware that engaging in online gambling is, in fact, illegal in South Africa, even if the operator is based beyond our borders. To access the full Survey of Casino Entertainment in South Africa, 2016, click here.